When you are looking for the best dedicated server hosting provider, there are many important criteria that you need to consider. In dedicated hosting, a client enterprise rents an entire server exclusively for its own use. This means that the enterprise will be entitled to unlimited bandwidth, memory and disk space belonging to this server. This ensures high degree of reliability, scalability; security and flexibility which can help you manage large volumes of web traffic. This explains why ecommerce companies choose the best dedicated server hosting for their sites. Unlike shared hosting, the server resources do not have to be shared among multiple users. This means that you do not have to worry about resources being over used by co-users. In shared hosting, this feature is responsible for the website slowing down from time to time; however, when you select the best dedicated server hosting provider, you do not need to worry about downtime issues. When searching for the best dedicated server hosting plans, it is important to decide whether you want to choose Linux or Windows dedicated hosting. While Linux dedicated hosting is relatively cheaper because it is an open source platform, Windows dedicated hosting becomes essential when your site runs applications like ASP and ASP.NET. Linux has a stronger reputation for its speed and reliability, but Windows is known for its power and flexibility. If your site uses PHP and Perl, Linux is the obvious choice of an operating system. When looking for the best dedicated server hosting, you must also find out about the amount of CPU and RAM you will get. The more demanding your website it, the higher the RAM or CPU you will require. A static brochure site will not have high demands for RAM. Considering the amount of bandwidth you get is another important factor when you are choosing the best dedicated server hosting plans. The bandwidth basically controls the amount of data that can be transferred using the server, typically for a month. A graphic-intensive website or a multimedia site will obviously need higher bandwidth than a regular blog website or a brochure site. When you need managed hosting, you should look for a web host that provides these services. 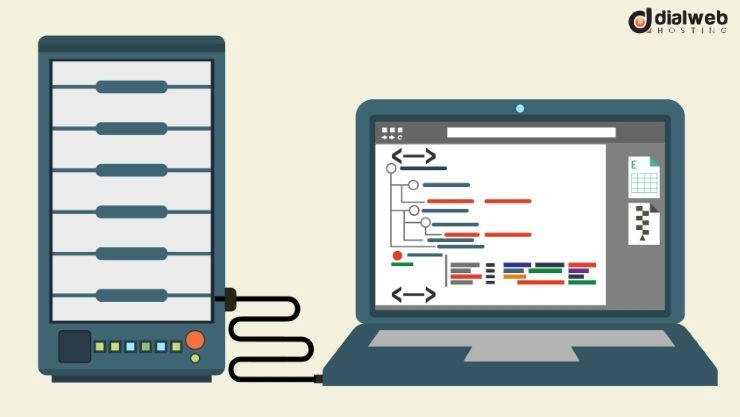 If you have a technically sound IT staff you can handle server management independently and opt for semi-managed or unmanaged dedicated hosting plans. But if you are not confident about resolving technical glitches on your own, it is always better to spend more and choose managed hosting plans. When choosing the best dedicated server hosting, you should also inquire about their security protocols, firewalls and preventive measures for virus attacks and malicious websites. Using these factors, it is easy to find the best dedicated server hosting for your site; you can opt for a provider which offers a free trial version to test their services. This will help you understand whether their plans are reliable or not. It is equally important to check their customer support system to be sure that you get technical assistance through chats, phone calls and emails whenever you need them.